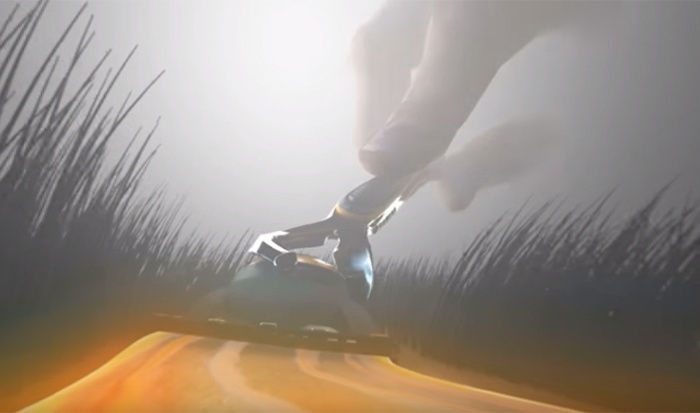 BEcause Australia recently helped develop a groundbreaking VR experience for the new Gillette Fusion ProShield razor. We wanted to share the campaign experience from the client's perspective, so we sat down with Ryan Edwards, Assistant Brand Manager for Gillette at P&G, and asked him some questions about the activation and what it means for the future of the brand. Q: What’s special about the new Gillette Fusion ProShield razor? Ryan: The Gillette Fusion ProShield razor solves the biggest issue for men when it comes to shaving: irritation. Studies from Gillette’s innovation centre in Reading show that men stroke between 180 and 700 times each time they shave. The number one form of lubrication is shaving cream or gel but the challenge is that most of this disappears with the first few strokes. Re-stroking without shaving cream or prep can lead to increased irritation. Gillette wanted to fix this problem without changing how men shave (which is very difficult to do). 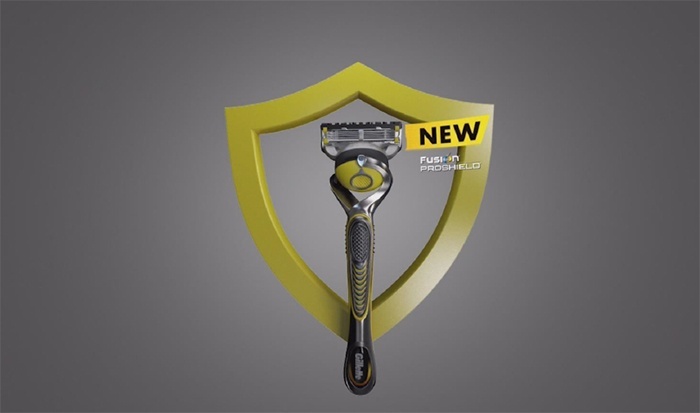 The Gillette Fusion ProShield razor has been developed to provide lubrication before and after the blades to shield skin from irritation. Q: What is your overall goal for the product this year? Ryan: There are two main objectives for ProShield which is the newest, latest and greatest top tier razor. The first is for it to drive excitement and awareness amongst the existing large Gillette Fusion user base. Second is to drive Gillette’s history of innovation within shave care thereby continuing to develop trust and confidence amongst Australian men. Q: What’s the idea behind the VR campaign? What will consumers experience? Ryan: The main challenge we faced with instore was the limitations around activating in the grocery environment, specifically with a product such as a razor which obviously has sharp blades. Gillette has not always been best in class for in-store demonstrations and the question we needed to answer is, “How do we bring the unique product benefits to life in this environment?” The VR experience allows us to do exactly this as it takes consumers on a journey from an unhappy shaver using a disposable razor, to a happy shaver using the new ProShield. 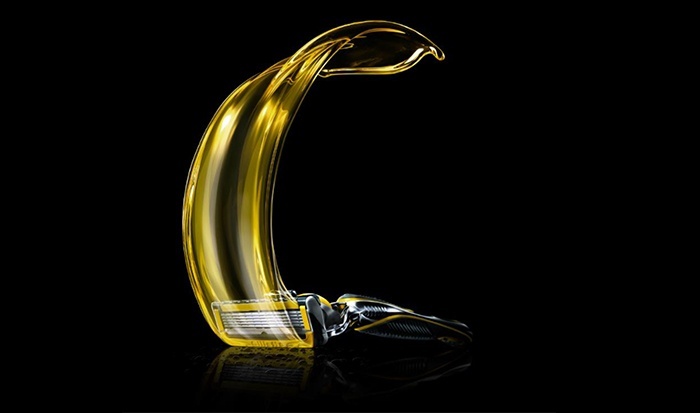 It ends with a close-up of the face clearly showing the effect of the razor’s unique lubrication strips before and after the blade, shielding while you shave. Q: Why did you decide that VR was the best way to support the launch of this product instore? Ryan: The key criteria for the activation were a) that it could be executed within an in-store environment, b) that the experience would be engaging and exciting and c) that it brought the product benefit to life. For the consumer, the activation had to be engaging, different and exciting to break out of the in-store auto-pilot that we know exists. 360 VR content is something completely new and different in this space so it enables us to disrupt that auto-pilot shopping experience. We also needed to communicate the product benefits and VR allowed us to do this in a unique way. Because of this content development, we now own a super flexible asset which is iconic of Gillette and can be used widely unlike some other executions which can be very limited. Q: What’s your favourite part of the VR experience? Ryan: My favourite part of the VR experience is standing on the surface of the guy’s face. This is a super unique perspective on shaving and is like nothing I’ve ever experienced before. Showing the razor sweeping away the hair and visually demonstrating the lubrication strips before and after the blades is brilliant. It’s a different and clever way to bring the product benefit to life. Q: What made you want to work with BEcause on this campaign? Ryan: A member of one of the marketing teams at P&G attended the BEcause experiential masterclass and they were impressed with the insights that were shared. This led to us discussing our in-store challenges with BEcause. Most importantly, it came down to the response. The BEcause response was comprehensive and clear from the get go, making it easy for us to select our favourite idea so that we could progress without delays. Very few agencies present initial concepts with such depth. Q: How will you measure success for this campaign? Ryan: There are a couple of considerations when judging success of this launch. Firstly, did the customer enjoy it? Did it deliver excitement? Did they find it interesting? Would they want to see it again? The second is did the retailer enjoy us bringing something unique and different to the market? Finally, does the experience help build strong brand affinity and notoriety and ultimately, lead to higher sales? The VR activation forms part of a stand designed to sell the product, so we hope to see good offtake in store. Want to learn more about executing a successful shopper marketing campaign? Download our guide: 7 essentials to getting shopper marketing right.